Language Oasis provides certified translation and business translations. However, the services of Language Oasis do not stop here, as we strive to meet the needs of all clients. That is why we added notarization and shipping to our services for a nominal fee. Please note that the notarization charge is not per page or per document. Since Language Oasis is keen on providing the highest quality service for the best rate possible, the charge of notarization is applied to the total of the order. 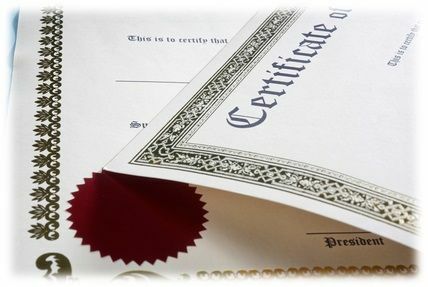 Many people confuse certified translation with notarized translation. They are not the same. Certified translation means that there should be a statement by the translator or the translation service that the translation is accurate and correct and that the translator is competent in the source and target languages. However, a translation is notarized is when a notary public verifies the identity of the person signing the certified translation. 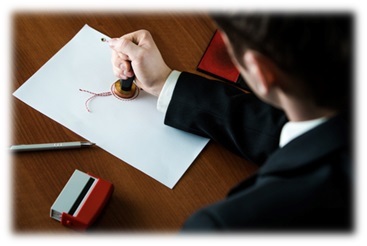 It is very important to understand that the notary does not check or verify the translation itself. Customers have to check with the authorities to whom they are submitting the certified translation whether notarization is necessary or not. Language Oasis does not decide if a certain translation or authority requires notarization. Many institutions, such as colleges and schools request notarization. Moreover, embassies, consulates, law offices, courts and other official departments might require notarization. So it is best to check with the concerned authority before placing an order with Language Oasis. If a customer requests notarization when he/she places an order with Language Oasis, then they would need their documents shipped. Language Oasis uses USPS Priority and Express Mail for shipping needs since we can track documents this way and make sure you get your documents on time. Priority Mail takes about 2-3 business days and Express Mail takes 1-2 business days. Before Language Oasis processes notarization and shipping, a confirmation email is sent to the customer, requesting him/her to check the translation and make sure he/she is satisfied. Language Oasis takes pride in its after-services, and reply with an email confirming everything is good to go. Once we receive the confirmation, the notarization and shipping request will be processed, and the customer will be emailed a tracking number to track his/her package. Language Oasis is always available to answer any of your questions, whether via live chat on our website, email at support@languageoasis.com or phone at 888-670-3369.